While the nation is reeling from this senseless tragedy, CCHR cautions against acting on mental health experts’ advice to increase mental health funding or to enact stronger involuntary commitment laws as violence prevention measures. The group says an investigation into the shooting must include what psychotropic drugs the alleged shooter, Nikolas Cruz, has been prescribed and the fact that he had apparently undergone “behavioral health” treatment which did nothing to prevent the murderous outcome. A 2016 Florida Department of Children and Family Services (DCFS) report indicated that he was regularly taking “medication” for Attention Deficit Hyperactivity Disorder (ADHD). CCHR says that training teachers and others in detecting and predicting violent behavior won’t curtail the problem because there’s no definitive science on how to do this, even according to psychiatrists and psychologists. “There is no instrument that is specifically useful or validated for identifying potential school shooters or mass murderers,” according to Stephen D. Hart, a psychologist at Simon Fraser University in Vancouver. Cruz, 19, charged over the Parkland, Florida shooting, is a prime example of the failure of the mental health system, CCHR points out. Cruz had been diagnosed at various times with “developmental disorder,” “depression,” “autism” and “ADHD,” according to a Florida Department of Children and Families Services (DCFS) report. It was also reported that he had OCD or “Obsessive-compulsive Disorder.” None of these labels can be reliably diagnosed as there’s no test to confirm them. None of the labels or treatment given to him worked to prevent what occurred on 14 February 2018, when Cruz shot and killed 17 people and injured 15 more. Expecting better mental health treatment to solve America’s problems with gun violence is a forlorn hope. “It’s promising something that we can’t deliver,” Marcia Valenstein, a mental health services researcher at the University of Michigan, told BuzzFeed News. 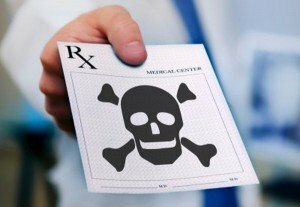 At least 27 international drug regulatory agency warnings have been issued on psychiatric drugs being linked to mania, violence, hostility, aggression, psychosis, and homicidal ideation. For years, Cruz had been a client at Henderson Behavioral Health in Florida, until the fall of 2017. For years, there were reports of his self-harm, cutting his arms, trouble controlling his temper, aggression, assaulting students, verbal abuse, banging his head, and yet in 2016, a therapist with Henderson Mental Health “deemed Nikolas to be no threat to anyone or himself at this present time,” according to the police report. Teachers disciplined him and referred him to counseling and police responded to at least 36 emergency 911 calls to his home over a six year period. CCHR says that teachers and police have put an unwitting and unearned trust in behavioral-psychiatric experts—a trust that has failed not only them but also Cruz, children and teachers who died at Marjory Stoneman Douglas High School, their families and a nation now mourning. Its website says those services include medication (psychotropic drug) management; psychotherapy, psychiatric evaluations, crisis counseling and intervention. Henderson has trained 536 mental health providers, including in domestic violence, safety and security. Yet, the clearly troubled signs Cruz exhibited were either missed or ignored or, arguably, the “treatment” exacerbated his behavioral problems. Whether Cruz has been prescribed antipsychotics is not known. CCHR says that although there can be numerous reasons for mass murder, violent crime and suicide, the prevalence of psychotropic drug use in the pediatric and adolescent population is a potential catalyst for violence in a percentage taking them. A review of scientific literature published in Ethical Human Psychology and Psychiatry regarding the “astonishing rate” of mental illness over the past 50 years revealed that it’s not “mental illness” causing the problem, but, rather, the psychiatric drugs prescribed to treat it. Since the introduction of antipsychotics in 1955 and the newer Selective Serotonin Reuptake Inhibitors (SSRI) antidepressants, like Prozac, in 1987, both are documented to be linked to violent effects. A statistical analysis of more than three decades of data shows that in 2011 the United States entered a new period in which mass shootings were occurring more frequently. The annual number of mass-shooting incidents tripled from an average of five per year between 2000 and 2009 to approximately 15 per year since, according to a 2013 U.S. Justice report. In the 1970s, 150,000 American children were taking stimulants for “ADHD.” By 2014, this had reached 4.3 million—a 2,766% increase. The proportion of U.S. children and teens (aged 0-19 years) taking antidepressants between 2005 and 2012 increased from 1.3% to 1.6%, despite the Food and Drug Administration “Black Box” warning in 2004 that antidepressants may induce suicidal behavior. Between 2002 and 2009, pediatric prescriptions for atypical (newer) antipsychotics increased by 65%, from 2.9 million to about 4.8 million. A staggering 90% of those prescriptions are off-label, according to a 2012 study published in JAMA Psychiatry, with ADHD and disruptive behavior accounting for about 38% of all antipsychotic use in children and teens. Almost 20,000 prescriptions for the antipsychotic risperidone (generic of Risperdal), quetiapine (generic of Seroquel) and other antipsychotic drugs were written in 2014 for children two and younger, a 50% jump from 13,000 just one year before, according to the prescription data company IMS Health. Prescriptions for the antidepressant fluoxetine (generic of Prozac) rose 23% in one year for that age group, to about 83,000. Researchers took the Food and Drug Administration (FDA) Adverse Event Reporting System data and identified 31 drugs disproportionately associated with violence. These drugs, accounting for 79% of all the violence cases reported, included 25 psychotropic drugs. Their findings, published in Public Library of Science ONE, included 11 antidepressants, six sedative/hypnotics and three drugs for treatment of ADHD. The specific cases of violence included: homicide, physical assaults, physical abuse, homicidal ideation, and cases described as violence-related symptom. Symptoms include disturbed mood, persistent insomnia, emotional lability, irritability, depression, impaired concentration and memory, and poor stress tolerance, according to a study published in Psychotherapy and Psychosomatics in 2012. “It is now accepted that all major classes of psychiatric medication produce distinctive withdrawal effects which mostly reflect their pharmacological activity.” Further, “Just like the various substances that are used recreationally, each type of psychiatric medication induces a distinctive altered mental and physical state….,” the researchers reported. CCHR says that pouring more funds into a mental health system that keeps failing and continues to use “treatments” that may induce violent and suicidal behavior in a percentage of those taking them, is a recipe for future disaster. The survivors of the Parkland shooting, the families of those killed and the community at large deserves answers and accountability. CCHR is calling on families with knowledge of a loved one who has experienced treatment abuse and for whistleblowers who have concerns about any behavioral facility to contact CCHR by calling 1-800-869-2247 or by reporting the abuse here. “Florida Agency Investigated Nikolas Cruz After Violent Social Media Posts,” The New York Times, 18 Feb. 2018, https://www.msn.com/en-us/news/us/florida-agency-investigated-nikolas-cruz-after-violent-social-media-posts/ar-BBJg8kH?ocid=ob-tw-enus-677; Brianna Sacks, “Authorities Were Called To Alleged Florida School Shooter Nikolas Cruz’s House More Than 35 Times,” BuzzFeed News, 16 Feb 2018, https://www.buzzfeed.com/briannasacks/authorities-were-called-to-alleged-florida-school-shooter?utm_term=.ynyqp60aV#.qhoMG0vb4. Joseph J. Cocozza and Henry J. Steadman, “The Failure of Psychiatric Predictions of Dangerousness…,” Rutgers Law Review, 1976 Summer, 29(5): 1084-1101. Op. cit., Brianna Sacks, BuzzFeed News. “The Latest: Florida Shooting Survivors Call For Action,” BuzzFeed News, Feb. 15, 2018, https://www.buzzfeed.com/buzzfeednews/florida-school-shooting?utm_term=.acN0Vl3zW#.dq468Rk3o. Jose Pagliery and Curt Devine, “School shooter showed violence and mental instability at home, police reports reveal,” CNN, 17 Feb 2018, https://www.cnn.com/2018/02/16/us/florida-shooter-cruz-records-police-calls-to-home-invs/index.html. Op. cit., Brianna Sacks, BuzzFeed News; Richard Fausset and Serge F. Kovaleski, “Nikolas Cruz, Florida Shooting Suspect, Showed ‘Every Red Flag,’” The New York Times, 15 Feb 2018, https://www.nytimes.com/2018/02/15/us/nikolas-cruz-florida-shooting.html; Tim Craig, Emma Brown, Sarah Larimer and Moriah Balingit, “For years, schools tried to get help for accused Florida shooter Nikolas Cruz,” Boston Globe, 19 Feb 2018, https://www.bostonglobe.com/news/nation/2018/02/19/for-years-schools-tried-find-help-for-florida-shooting-suspect-nikolas-cruz/WnXemxzEZkSjV6olgQpkLJ/story.html. Op. cit., Brianna Sacks, BuzzFeed News; Op. cit., Tim Craig, Emma Brown, Sarah Larimer and Moriah Balingit, Boston Globe. 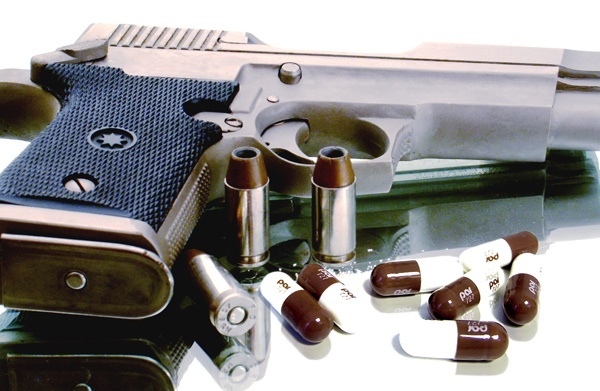 “Mass Murderers and Psychiatric Drugs,” Behaviorism and Mental Health, 22 Sept. 2014, http://behaviorismandmentalhealth.com/2014/09/22/mass-murderers-and-psychiatric-drugs/. “Anatomy of an Epidemic: Psychiatric Drugs and the Astonishing Rise of Mental Illness in America,” Ethical Human Psychology and Psychiatry, Volume 7, No. I, Spring 2005, http://pt.cchr.org/sites/default/files/Anatomy_of_an_Epidemic_Psychiatric_Drugs_Rise_of_Mental_Illness.pdf. “Rate of Mass Shootings Has Tripled Since 2011, Harvard Research Shows,” Mother Jones, 15 Oct. 2014, http://www.motherjones.com/politics/2014/10/mass-shootings-increasing-harvard-research. “Holder: Mass shootings triple,” Associated Press, 21 Oct. 2013, http://www.politico.com/story/2013/10/us-mass-shootings-tripled-098617. Ibid., Thomas J. Moore, Joseph Glenmullen, Curt D. Furbert, Public Library of Science ONE. Joanna Moncrieff, M.B.B.S., David Cohen, and Sally Porter, “The Psychoactive Effects of Psychiatric Medication: The Elephant in the Room,” J Psychoactive Drugs, Nov. 2013; 45(5): 409–415; https://www.ncbi.nlm.nih.gov/pmc/articles/PMC4118946/.